Leonard P. Zakim Bunker Hill Memorial Bridge at twilight. 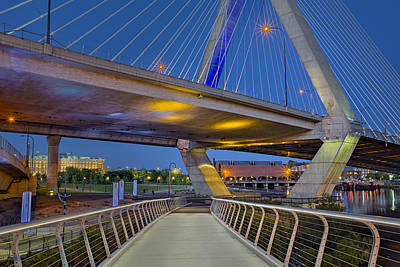 The Zakim bridge, was part of The Big Dig Project in Boston. 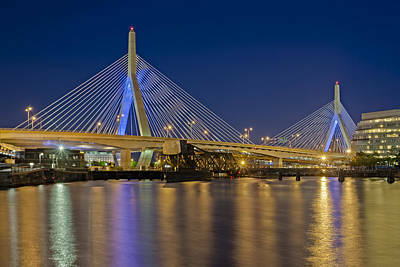 It is one of the widest cable-stayed bridges in the world. 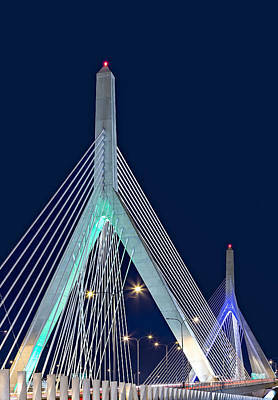 The Bridge serves as the northern entrance to and exit from Boston. 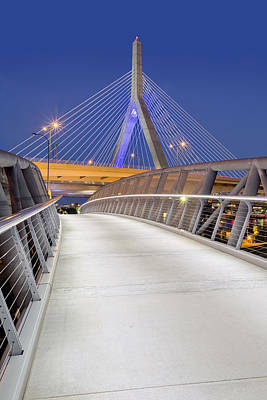 The Bridge is named after civil rights activist Lenny Zakim and the American colonists who fought the British in the Battle of Bunker Hill. 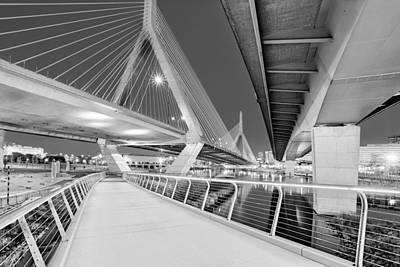 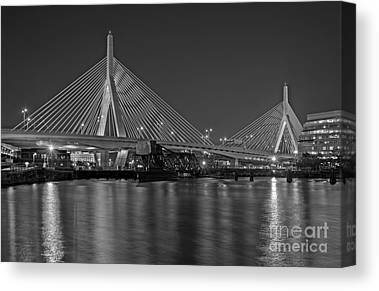 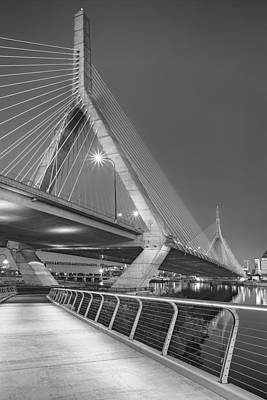 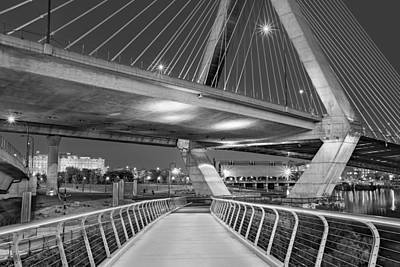 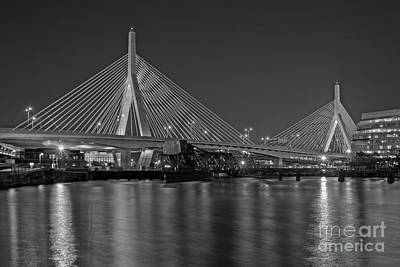 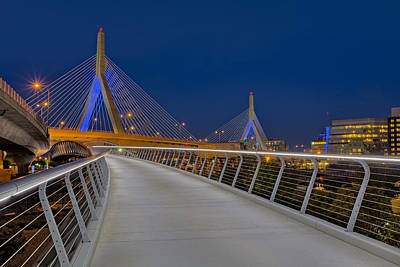 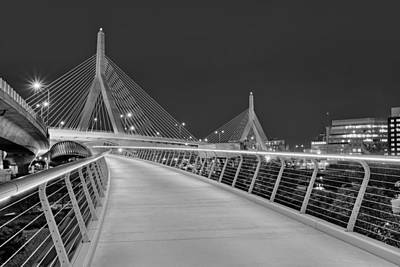 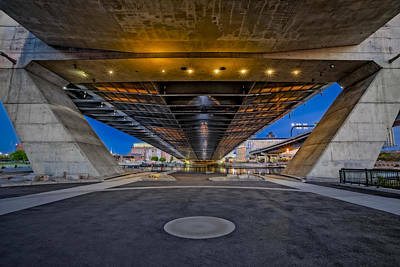 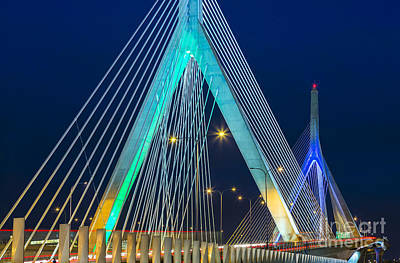 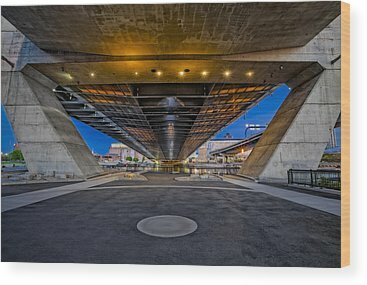 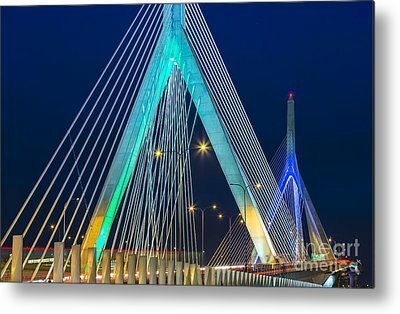 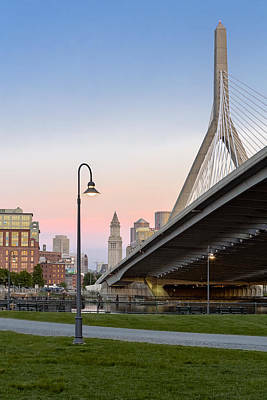 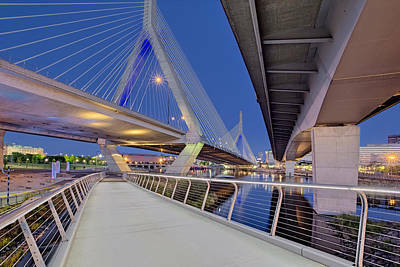 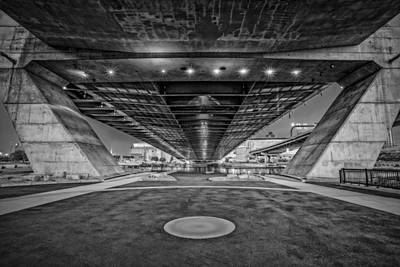 Photographs in the Zakim Bridge gallery are available in color or black and white prints in a variety of media and accessory choices to fit your space.